Coming up with unique and fun party themes for boys is easier said than done. Unfortunately, it also gets harder as they grow older. Babies, thankfully, don’t give a hoot if you choose a whimsical woodland party theme over a twinkle, twinkle little star celebration. All they know is that their diaper suddenly needs changing when young Aunt Sally picks him up for a tummy raspberry. Yes, Sally, that is the smell of motherhood and don’t you forget it. Why Is a Themed Party Better than a Non-Themed Party? Which Part Theme for Boys Should You Choose? Older kids are a little easier to plan for as they give clear, concise direction when it comes to party themes. While you no longer have the option of choosing, seeing their eyes light up at the sight of their party is all worth it in the end. We’ll help you plan the perfect celebration from conception to execution. Celebrating a birthday only happens once a year. So when it's time to party, you've got to do it with a bang. Parties without themes are often forgettable because they blend in with all the other yearly birthday parties. Guests flow in with their usual attire, and after some fun, the special girl or boy cuts the run-of-the-mill birthday cake. Then, everyone goes home without experiencing anything really new or exciting. But guests will no doubt remember the party with the pirate theme if they have to dress up their toddler with funny hats and a cute eyepatch. Teenagers will also recall the one time they attended a party with lots of glowsticks and glow-in-the-dark goodies. Party themes bring your average birthday party to the next level. Instilling a theme pushes your brain to its creative limits. The result is a fascinating get-together full of surprising food, jaw-dropping decorations, and plenty of fodder for conversation. When planning party themes for boys, you'll have to decide whether you'll be DIY (doing it yourself) or buying your supplies. Making most of the decor, props, and even the menu has its pros and cons. If the budget is tight, you'll find that making most of these items at home costs significantly less than purchasing. But this means you'll have to use up one of the most precious things of all: time! DIYing takes lots of patience, effort, and time. Start planning your party weeks in advance and set aside time for your creative process from brainstorming to finishing touches. Of course, if you don't have a creative bone in your body, stick to buying most of your items. Visit your local party store to gather ideas and inspiration for your party theme. There are many party themes for boys but once you've decided, start planning. What will you buy in-store? Will your online purchases ship in time for the party? What is your budget? Should you make all the food yourself or have everything catered? These are the questions you need to ask to plan your party accordingly. We've divided our party themes for boys by ages: Infant to preschool, 5 to 8, 9 to 13, and 14 to 18. This way, choosing an appropriate theme for your growing boy is quick and easy. Below are our favorite party themes for boys, and we hope you find something you love! Deciding on party themes for boys when they're little is probably the most fun you'll ever have when it comes to party planning. Firstly, the theme will be 100 percent what you want it to be because they're still infants! 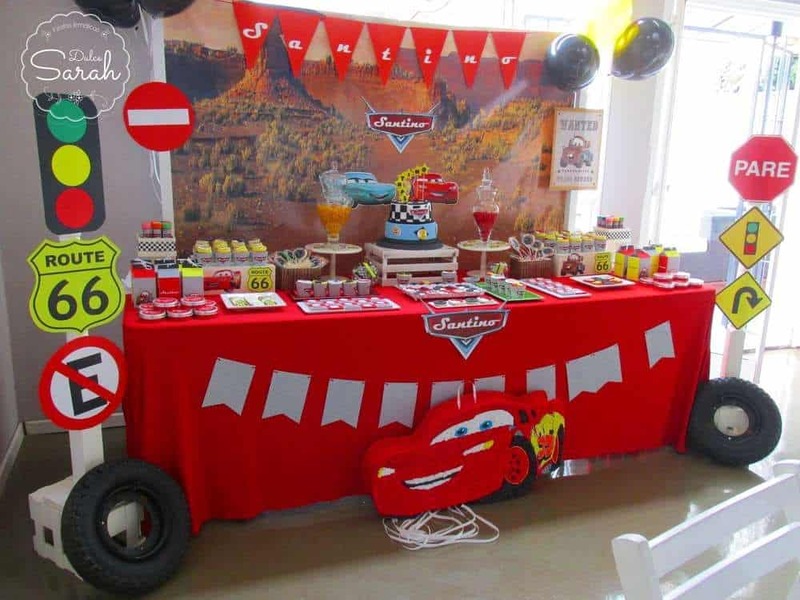 There are hundreds of different party themes for little boys. But to make this a little bit more manageable, we've picked our two favorites: the little gentleman and little monster. 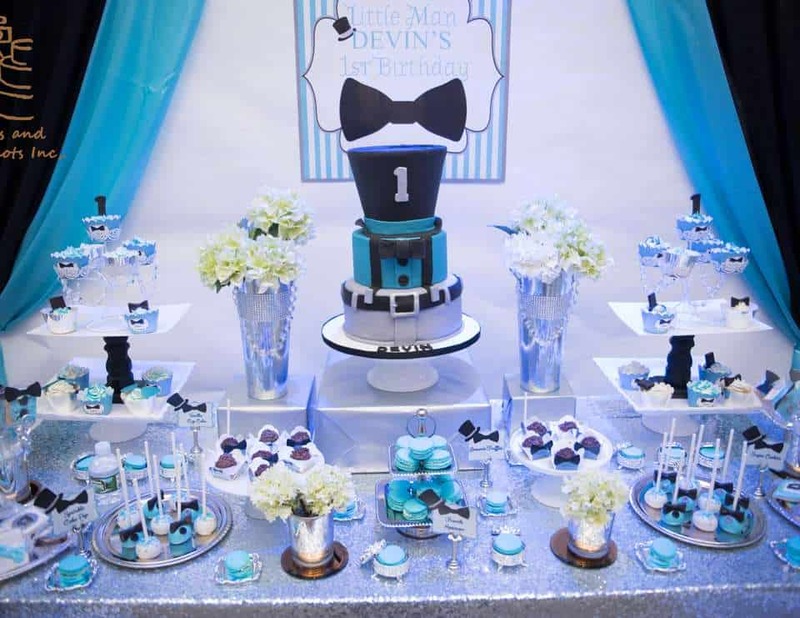 Little gentleman party themes for boys is all about showing your handsome boy off to the world. Deck your little man in the most dapper outfit you can find. We love this adorable shirt, and pant combo riddled with mustaches. Invite your guests with an on-theme invitation you can either order or DIY at home. To keep your party visually appealing, stick to a handful of colors such as white, black, and blue. Alternatively, you could pair white, black, and light brown together for a more neutral color palette. Once you've decided on colors, keep your decorations consistent. Your white tablecloth, for instance, would not look out of place with blue balloons and a white and black cake topped with blue candles. 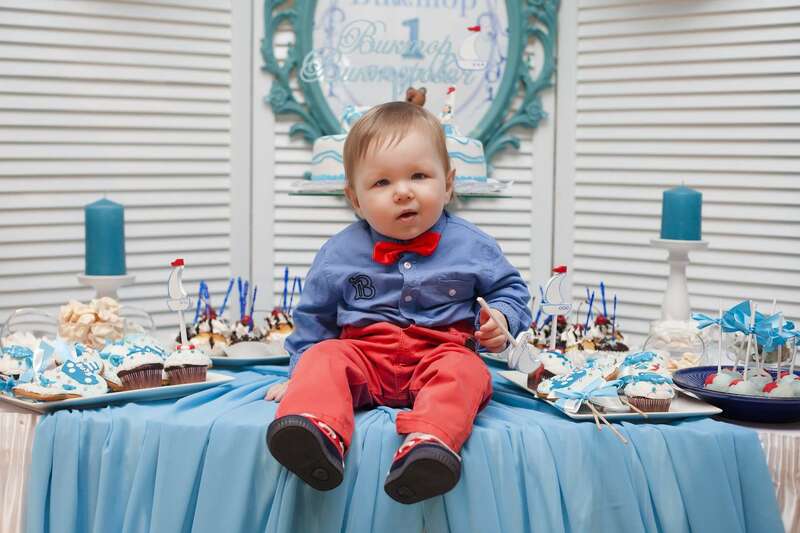 Create a cute backdrop for impromptu baby photos for your guests and the birthday boy. 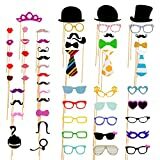 Purchase some mustache props to give your photos an extra layer of pizzaz. 58 sets colorful card paper material on a hardwood stick. Great props for photo shooting. Just take it out and enjoy. Make more fun at those memorable moments like festival parties, birthdays, weddings or other happy occasions. Your budget will decide whether you'll make your own finger food and refreshments or if you'll cater most of your little one's party. Whether you're making the majority of the menu or ordering out, here are some fun ideas to get you started. We've listed some food options as well as family-friendly drinks for the adults to get them in the party mood. Most party themes for boys center around the color blue. Fortunately, there are still a few choices out there should you want your child's birthday party to display a range of hues. 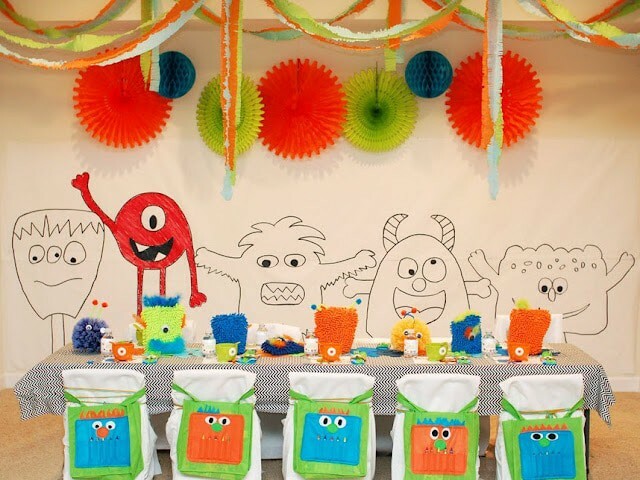 Any party themes for boys revolving around cute little monsters will make your tot smile from ear to ear. If you plan on making most of your monster-themed decorations, plan on buying lots of googly eyes! Anything supposedly mundane easily transforms into a funny monster by sticking some comic eyes on it. A utensil holder, for example, suddenly becomes a ravenous fork-hungry monster thanks to some tissue paper and some funny peepers. For those with a larger budget and less time, visit your local party store for some inspiration. Buy some tableware online and plenty of colorful balloons to set the mood. Invest in some ​lawn decorations outside if the weather permits to greet your guests as they walk into your property. Once your child gets a little older, they will have more of an opinion as to their theme. More often than not, they’ll choose something they love at that very moment. It might be a particular show they like or their favorite superhero. Here are a couple of party themes for boys sure to please kids ages 5 to 9. Chances are, your kiddo knows how fun it is to play in the sandbox. With so much area to dig holes and build sand castles, it’ll surely be a highlight for them for a few years. If your child loves to run around the sandbox with his dump truck on one side and his excavator on the other, consider a construction-themed party. Some party themes for boys require a big budget, especially once they grow older. But parents can easily make most of the food at home without too much difficulty. When it comes to presentation, the container is just as important as its contents. Therefore, make sure to use plenty of wooden containers and aluminum trays to give your theme that rugged in-progress feeling. 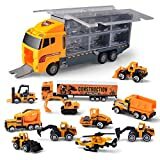 Once your little construction worker has moved on from digging, the next step is building! Building blocks such as LEGO give kids the opportunity to create everything from skyscrapers to animals and everything in between. If they don’t want to build using LEGO’s plans, kids make whatever their hearts desire. Throwing a birthday party revolving around LEGO is perfect when your child is nearing double digits. 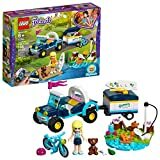 Build Stephanie's toy Buggy & Trailer and drive to the lakeside for some outdoors creative play! Finding LEGO decorations in-store is relatively easy, as it's one of the more popular party themes for boys and girls alike. Visit your local party store and search for the LEGO section. Because there are several LEGO movies, you may even find specialty items such as LEGO Batman tableware sets. But if you’re searching for strictly LEGO party-related items, you may have better luck ordering online. These mini LEGO sets are perfect additions to party favors when it’s time to say goodbye. You could also make your decorations by using actual LEGO pieces to build everything from wall decor to balloon weights. The chance of finding anything LEGO-related in your local grocery store are slim to none. Thankfully, making LEGO-inspired desserts and finger food is a breeze. 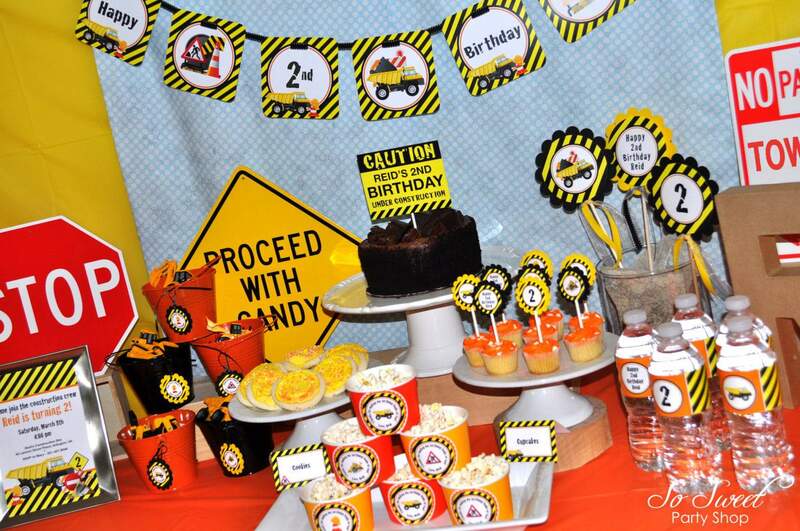 Anything cut or molded into shape (like cake and Jell-O) will keep your party on-theme. Make sure to stock up on LEGO molds or ice cube trays before the big day. 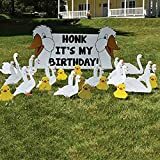 Below are a few ideas sure to be a hit at your child’s birthday. Once your child grows up to become a young adult, their parties are less what you want and more what they like — and rightly so! Consult with your growing pre-teen and discuss what kind of birthday party they’d like to have. If they’re video-game obsessed or love all things auto, we have plenty of ideas to get the ball rolling. For this list, we’ll take the more general car approach. Decorate your home with lots of checkered flag plates, napkins, or labeled containers. If you have spare tires in your garage, make a table by creating two columns of tires. Set a plain board on top of the tires and throw on a tablecloth before making your table spread. Use an old red toolbox lined with plastic as a container for chips, popcorn, or even desserts. Bring out your kid’s model cars, and incorporate them into a homemade wreath inspired by Hot Wheels. Take the racing posters out of his room and hang them out where everyone can see to set the mood. Making the food and drinks is less about the actual food and more about how it is decorated or presented. Something that is round, for instance, makes a good steering wheel or tire, while something triangular may look like a traffic cone. Alternatively, you could have some of the items catered and custom-made. For example, hire your local bakery to make an auto-inspired cake or a dozen checkered cookies. 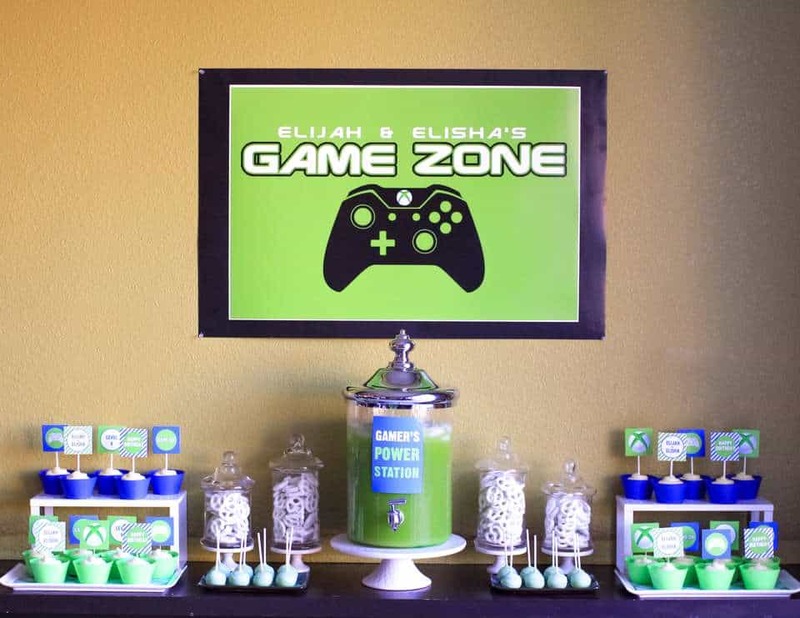 Video game-inspired party themes for boys are easier said than done. First off, it’ll be a little challenging to find out which of your gamer son’s games is his favorite. Secondly, you’ll have to be familiar with the game to brainstorm a party theme revolving around it. To make it easier on yourself, know which topic most of his video games revolve around. For instance, kids ages 9 to 13 still love to play video games involving the beloved Mario. If that's the case, make his entire birthday party theme centered around that one video game. The decorations you choose (or make) would need to be about the video game he so loves to play. Whatever that game is, make sure to have a gaming station in your living room so the birthday boy and all his friends can play. If you’re not sure what games he likes, go for a general theme around the console itself. Make the party’s theme colors black and lime green for X-box, while Playstation birthday themes should be black and blue or white. Create a few garlands to hang over the party room or dessert table. To make your party extra special, purchase a piñata in the shape of the controller or gaming console for some whacking fun! The menu and refreshment list would depend significantly on your boy’s preferred console or favorite game. But we have a few ideas that could work for any game and console. All you need to do is take your kid’s idea and apply it to the food and drinks lineup listed below. 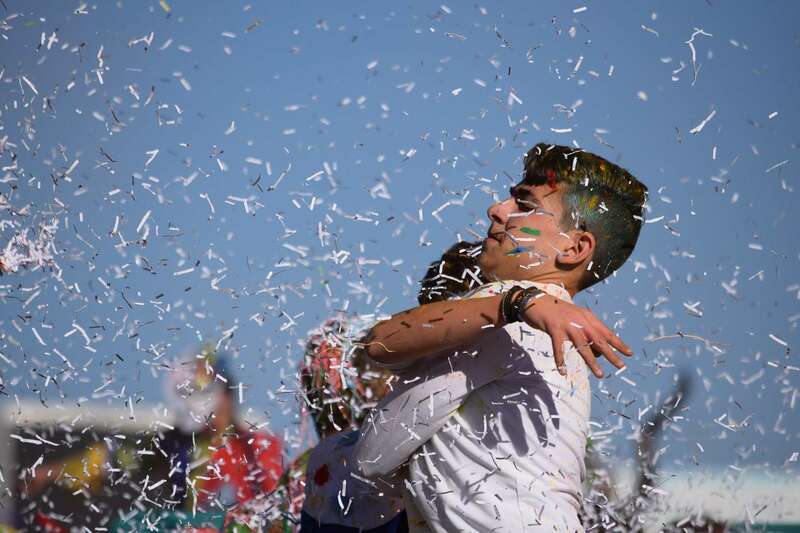 Party themes for boys over 14 tend to get a little tricky because most want to fly a little further from the nest. Instead of planning the entire birthday party from decorations to the menu, sit down and talk to your growing boy. Discuss some birthday options and find out what works best for them. Just because they’re growing out of birthday themes doesn’t mean you can’t make it special. A viable (and fun) birthday option for your growing teenager would be to make their celebration a pool party. Plan out what they would want in terms of food, the guest list, and how complex or simple they want the party to be. 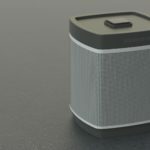 Another option could include going out with his friends to a campsite for a night of campfires and sleeping under the stars. Or maybe they don’t want to celebrate with their family and friends: That’s OK, too. 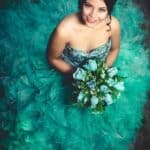 Asking these questions will ensure your teen that you are willing to work with them should they want a party. Choosing between party themes for boys should be an entirely personal decision. You can certainly get away with choosing your preferred theme for infants and toddlers. However, once they grow up, you should settle on a theme that caters mostly to the birthday boy’s likes. After all, it is their birthday, and the result should reflect their personality.